Word to the wise. If you're planning on buying a Sidekick 4G on its expected April 20th launch date, better get up early that day because the demand-supply equation is supposed to be heavily skewed toward the demand side. 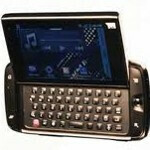 As popular as the original Sidekick models were, this time the model is 4G enabled and is powered by Android. And the device is also priced to sell at $99 with a signed two-year contract. While some more high-end devices are expected at T-Mobile at around the same time like the T-Mobile G2X and the T-Mobile G-Slate, the Sidekick 4G has some decent specs as well. While the series is known for its outstanding physical QWERTY keyboards, the Sidekick 4G looks like it won't disappoint with a 5 row QWERTY. A 1GHz Hummingbird processor powers the phone which has Android 2.2 under the hood. A 3MP camera graces the back of the handset while a VGA front-facing camera allows for video chat, which you will be able to view on the 3.5 inch WVGA display. And with the 4G next to its name, the Sidekick has HSPA+ connectivity which should allow the phone to fly at speeds as high as 21Mbps. The Sidekick has replaced the swivel design on the display with a unique hinge. An optical trackball is worked into the design of the hardware and the software now includes some social networking features like Sidekick Group Text and Cloud Text. The former allows for group text conversations similar to having a "reply-all" option while texting. The latter allows you to text your friends while on your PC. Besides Sidekick fans happy to get a chance to buy an up-to-date version of the phone, T-Mobile also will get buyers looking for a device that comes with a multitude of features for a low price. With that in mind, a source at Tmo News says that manufacturing limitations could lead to shortages of the Sidekick 4G for the first 1 to 2 weeks after launch. It looks ok. If you are a text addict, this is the phone for you. Although the specs are weak, the design looks very functional. If your a T-mo customer and looking for something new, wait for the HTC Sensation. WOW, that thing is a power house!!! The new Sense 3.0 UI is incredibly user friendly and responsive. It also has all the media bells and whistles. If media is your thing, wait for it. You'll thank yourself. Its not really that weak. Its just not a superphone. This phone still kicks the crap out of all the other phones in T-Mo's lineup minus maybe the Galaxy S 4G if you'd rather have a bigger screen but the same basic phone. For the price I think the features are more than decent. $379 off contract is insane for what you get compared to other phones. Impossible this thing will be out of stock. No use trying to create a hype here. is this mobile available in India??? who would want sidekick nowadays? and why not? don't be so close-minded. a lot of people would rather have a full keyboard than just using only the touchscreen. the sidekick 4g seems like its come a long way from the previous sk models with the Danger software. Samsung and Android sidekick shouldn't and probably won't disappoint.